The relationship between Canadian governments and Aboriginal groups has shifted dramatically over the past several decades, but has yet to reach any stable equilibrium that clarifies their relative roles. The core uncertainty is whether Crown governments have the legal authority to proceed with a project if affected First Nations are strongly opposed. This issue received renewed attention when the Canadian Supreme Court issued its Tsilhqot’in Nation v British Columbia decision in June 2014. Much attention has been paid to the emphasis the Supreme Court placed on the need to obtain consent from aboriginal title-holders before proceeding with projects on title land. But as we will see, the shift in the relationship between the government and First Nations on resource project decision-making is not as significant as many have argued. First, a bit of background on the continuing challenge to reconcile aboriginal title with Crown or settler title in British Columbia is useful. While treaties were established throughout much of Canada, there are few treaties in BC. The settler governments simply asserted sovereignty over BC, claiming that, prior to European settlement, legally BC was terra nullius or “empty land,” a deeply offensive notion to First Nations who have resided throughout the province, with established system of governance, for many millenia. In response to litigation by First Nations, the Supreme Court began slowly chipping away at this doctrine, first (in the Calder case in 1973) by granting that unless it was formally “extinguished” aboriginal title exists. However, establishing that a particular First Nation has title to a particular area of the province requires an exhaustive legal process. The current situation throughout much of British Columbia is that aboriginal title has been asserted (in some cases by multiple First Nations over the same land) but not yet legally established in a way that it is recognized by the Crown government. The Tsilhqot’in case was historic because it was the first time courts recognized aboriginal title for BC First Nations. It helped clarify the process for making and considering title claims, and what title means once it has been granted. It also clarified the relation between First Nations and Crown governments on aboriginal title land. The court ruled that “The right to control the land conferred by Aboriginal title means that governments and others seeking to use the land must obtain the consent of the Aboriginal title holders” (paragraph 76). However, in the very next sentence, the court qualified this right to consent: “If the Aboriginal group does not consent to the use, the government’s only recourse is to establish that the proposed incursion on the land is justified under s. 35 of the Constitution Act, 1982”(paragraph 76). The key question then becomes the “justification test.” The Supreme Court articulated the test as follows: “To justify overriding the Aboriginal title-holding group’s wishes on the basis of the broader public good, the government must show: (1) that it discharged its procedural duty to consult and accommodate, (2) that its actions were backed by a compelling and substantial objective; and (3) that the governmental action is consistent with the Crown’s fiduciary obligation to the group” (paragraph 77). Each of these conditions requires further elaboration. The duty to consult and accommodate exists whether or not title has been established. When the Crown is contemplating actions that it thinks might affect aboriginal title, its obligation to consult the affected First Nation are defined by a spectrum articulated in the Court’s 2004 Haida decision: “In general, the level of consultation and accommodation required is proportionate to the strength of the claim and to the seriousness of the adverse impact the contemplated governmental action would have on the claimed right” (paragraph 79). Objectives that were considered “compelling and substantial” were articulated in the Supreme Court’s 1997 Delgamuukw case. The Tsilhqot’in case simply quoted the Delgamuukw decision on the definition: “In my opinion, the development of agriculture, forestry, mining, and hydroelectric power, the general economic development of the interior of British Columbia, protection of the environment or endangered species, the building of infrastructure and the settlement of foreign populations to support those aims, are the kinds of objectives that are consistent with this purpose and, in principle, can justify the infringement of [A]boriginal title. Whether a particular measure or government act can be explained by reference to one of those objectives, however, is ultimately a question of fact that will have to be examined on a case-by-case basis” (paragraph 83). The third part of the justification test requires the action to be consistent with the government’s “fiduciary duty” to First Nations. This is the most confusing part of the Tsilhqot’in decision. Usually, fiduciary duty requires the fiduciary (in this case the Crown) to ensure the interests of the principal (in this case the First Nations) are being met. In Canadian law, however, fiduciary duty to First Nations means something different. It essentially requires simply that Aboriginal rights need to be balanced with other interests. The Tsilhqot’in decision did elaborate this requirement is several ways. It held that the duty “infuses an obligation of proportionality” into the process: “Implicit in the Crown’s fiduciary duty to the Aboriginal group is the requirement that the incursion is necessary to achieve the government’s goal (rational connection); that the government go no further than necessary to achieve it (minimal impairment); and that the benefits that may be expected to flow from that goal are not outweighed by adverse effects on the Aboriginal interest (proportionality of impact)” (paragraph 87). In addition, the Court added a specific future-oriented test: “incursions on Aboriginal title cannot be justified if they would substantially deprive future generations of the benefit of the land” (paragraph 86). A useful way to think about these tests is to imagine how the BC government would try to make them work for Site C, or the federal government for one of the oil sands pipeline proposals. They clearly fall within the allowed objectives, so the only question is whether they meet the other parts of the justification test. 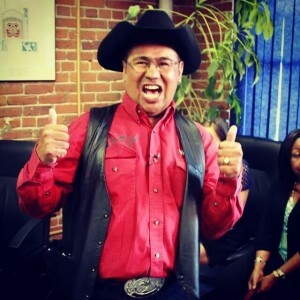 How much does the Tsilhqot’in decision change things? What impact the Tsilhqot’in decision will ultimately have is uncertain, but legally it changes far less than many assume. In the typical situation where title is asserted but not proven, there is no change from the vague standards articulated in the 2004 Haida and Taku decisions: consult always, accommodate if the claim is strong and the infringement significant, but there’s no veto for the First Nation. What’s new about the Tsilhqot’in decision is that title was finally granted to a particular First Nations over a particular area. But even in that case, it appears that title can be still be infringed with resource projects such as dams or pipelines so long as the Crown goes through the careful justification process. It seems quite clear that legally, First Nations do not have a veto or right to consent, even where title has been legally established. Wait: Doesn’t the UN give First Nations the right to consent? First Nations groups frequently refer to the provision in United Nations Declaration on the Rights of Indigenous Peoples that states “States shall consult and cooperate in good faith with the indigenous peoples concerned through their own representative institutions in order to obtain their free and informed consent prior to the approval of any project affecting their lands or territories and other resources, particularly in connection with the development, utilization or exploitation of mineral, water or other resources” (Article 32.1). However, the UN Declaration is not legally binding on signatories. When it finally endorsed the Declaration in November 2010, the Government of Canada took pains to note that it objects to the provision of “free, prior and informed consent when used as a veto.” In explaining why it would endorse the Declaration if it had these objections, the government stated: “We are now confident that Canada can interpret the principles expressed in the Declaration in a manner that is consistent with our Constitution and legal framework.” That legal framework is the one described above, that does not give First Nations a right to consent. The law seems clear that there is no legal right to consent. But there may be an emerging political, or de facto, obligation of Crown governments to obtain the consent, or at least avoid the adamant opposition of, directly affect First Nations. I argue that it may now be the case that, while the law falls short of granting a right to consent to First Nations, it may now be politically impossible for natural resource projects in Canada to proceed if there is significant opposition from directly affected First Nations. The Prosperity Mine case in British Columbia has been quite revealing. The proposed mine went through both the BC and Federal environmental assessment processes. There were significant environmental concerns with the proposal, and First Nations in the area were resolutely opposed. The BC government considered these objections and approved the project. But the Harper Government, known for its support for resource development, examined the same concerns and rejected the project, citing among other reasons the strong objections of local First Nations to the proposed use of a cherished lake as a tailings pond. The project was redesigned to avoid dumping in the lake and resubmitted, but the local First Nations still opposed the project, and the Harper government again rejected it. We now have several live cases that will test this hypothesis. Both Site C and the Northern Gateway Pipeline have been authorized for construction by Crown governments despite the explicit, vehement opposition of direct affected First Nations. Whether or not shovels are ever put in the ground for either project will be an important test of the hypothesis. This entry was posted in Course Briefs. Bookmark the permalink.